You've come to the right place if you are looking for the best deals on copy machines. Whether you are looking to buy a used copier or you'd like to get pricing on copy machine leases, CopyMachineDeals.com is here to help. Copy Machine Deals makes it easy to find black and white copiers, color copiers, fax machine/copier combinations and all other types of copiers from leading manufacturers like Canon, Ricoh and Sharp. The bottom line is that Copy Machine Deals is the ultimate source for all of your large or small business copy machine needs. You've got two main options when it comes to financing a copy machine: leasing/renting and purchasing. While many companies prefer to own their own copier, leasing is a good option for companies that don't have a large budget available. When you lease a copier you just pay a small monthly fee, which can range anywhere from a $125 a month to more than $1,000 depending on the type of copier needed. The longer you lease a copier for, the lower your monthly payments will be, and you can also lower your monthly payments by putting some money down up front. For those looking to buy a copy machine you have two options, purchasing a new copier or buying a pre-owned/used copy machine. Since some of the most advanced, new copier machines can cost upwards of $40,000 brand new, it's often advised to look into buying a used copier. If you choose to buy a used copier, it's important that you make sure it has been well taken care of and regularly serviced. Ask the seller for a copy of the machines service and repair history. It's also a good idea to stick with one of the copy machine manufacturers like Sharp, Canon or Kyocera, that are known to make reliable, long-lasting copiers. Since copier machines are expensive and often essential equipment for your business, it's important that you take good care of your copier machine. Purchasing or leasing from a top copy machine dealer that offers affordable service contracts is a good way to make sure that your machine will continue to work well for years to come. Copy machine repairs can be costly and you will lose productivity while it's being repaired, which is why it's vital to have regular maintenance and service to avoid costly repairs. CopyMachineDeals.com is the best way to ensure that you will get not only the right copy machine at the right price, but that you will also receive excellent service from a top copy machine dealer that's known for their superior customer satisfaction. If you are ready to see how much you can save on a new or used copy machine, request a quote right now. How Much Does A Copy Machine Cost? New commercial copiers often cost $10,000 or more, while you can rent or lease copiers for under $300 per month. Price depends on copier capacity as well as the functionality needed, as well as if it comes with service and maintenance. What Are The Most Popular Types Of Photocopiers? The big question many businesses need to answer is whether they need a black and white copies only, or they need to have color copies as well. Color copiers have much higher costs, especially when you factor in the cost for ink. 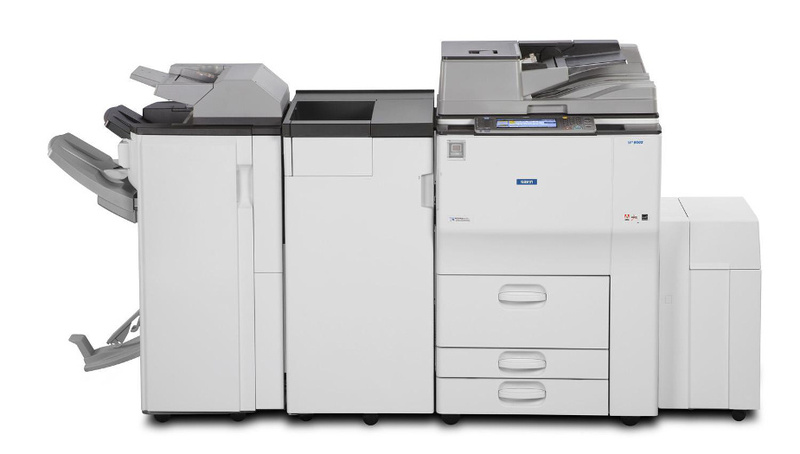 Most companies will choose a multifunction copier and often one that has built in fax capabilities. Many small businesses prefer to lease a copier because it's more flexible and require less money up front. One reason that companies often choose to lease is they aren't exactly sure which copier capacity their business needs. What Are The Most Popular Copier Brands? There are a bunch of different copier manufacturers. Some of the best are Canon, Toshiba, Ricoh, Brother, Xerox, Kyocera and Sharp, just to name a few.